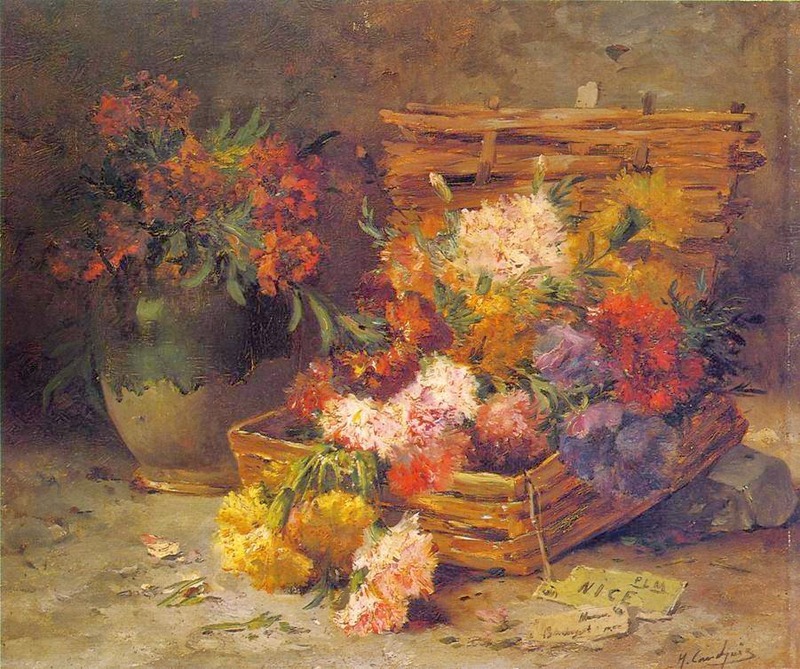 Eugène Henri Cauchois [1850-1911] was born in the city of Rouen on February 14, 1850. 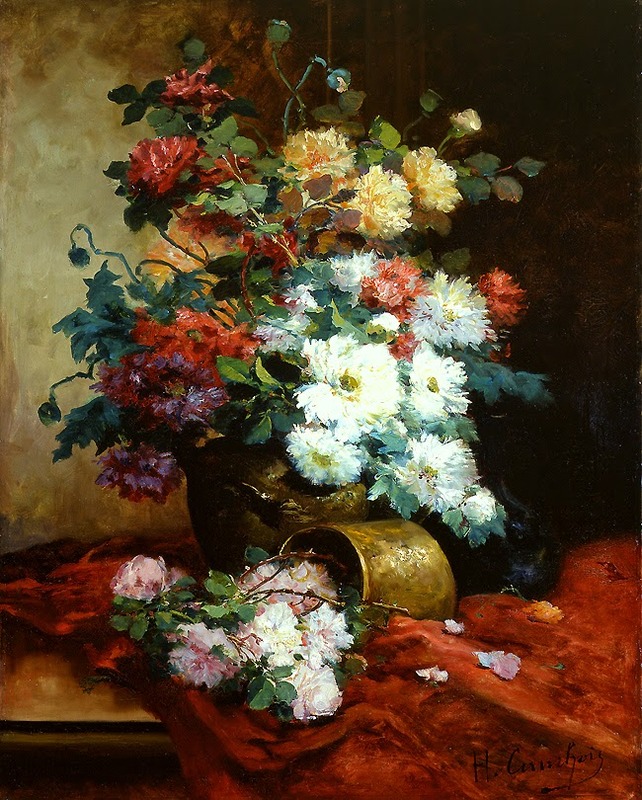 He received his artistic training under the master painters Ferdinand Duboc and Alexandre Cabanel. 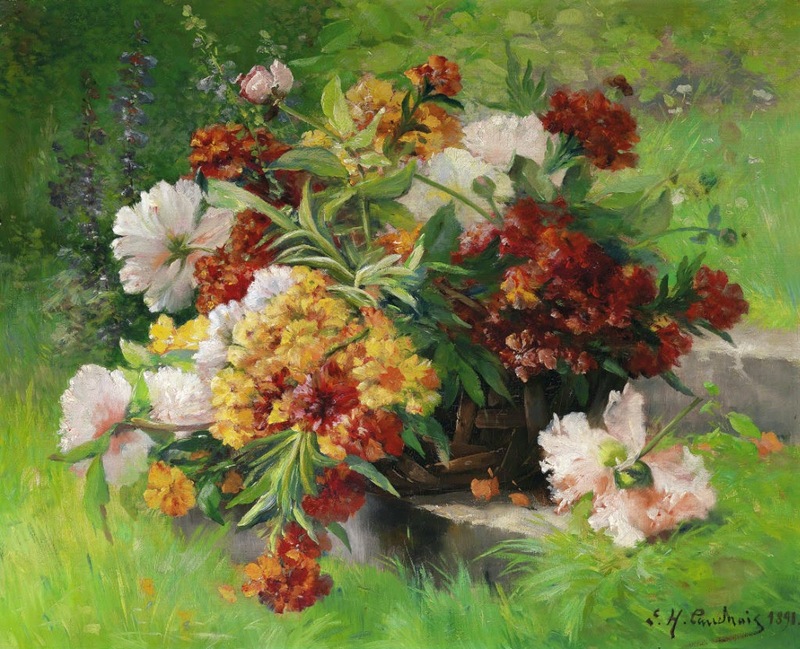 His soft, colorful and lustrous still‑lives reflect a strong influence from the renowned Impressionist artists of his time. 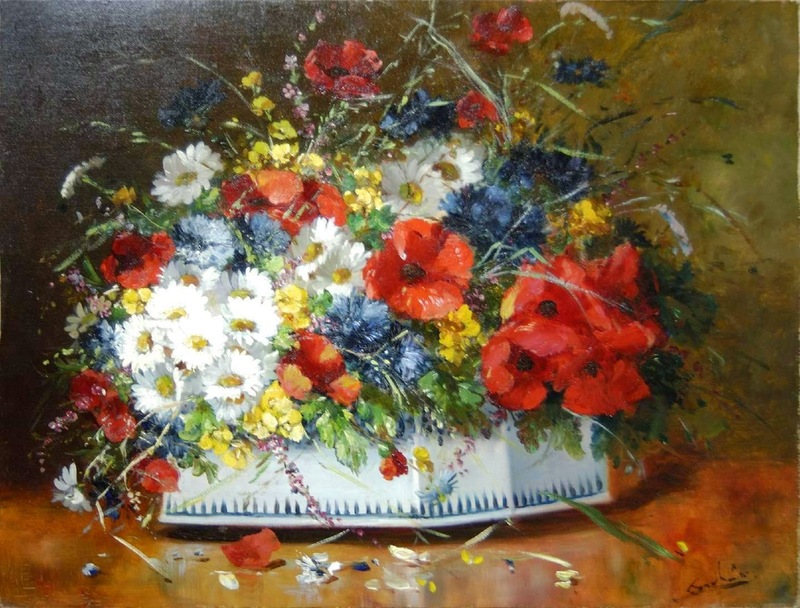 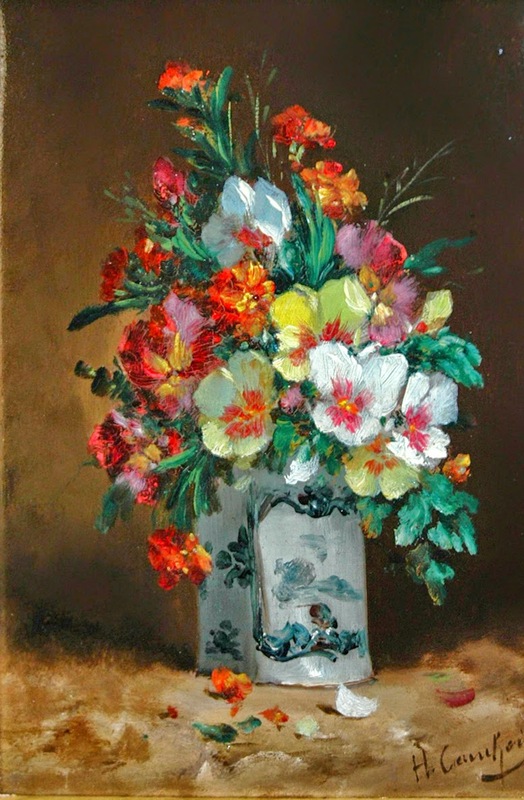 Similar to the techniques of the Impressionists, Cauchois' canvases are created with layer upon layer of loose and fluid brush strokes. 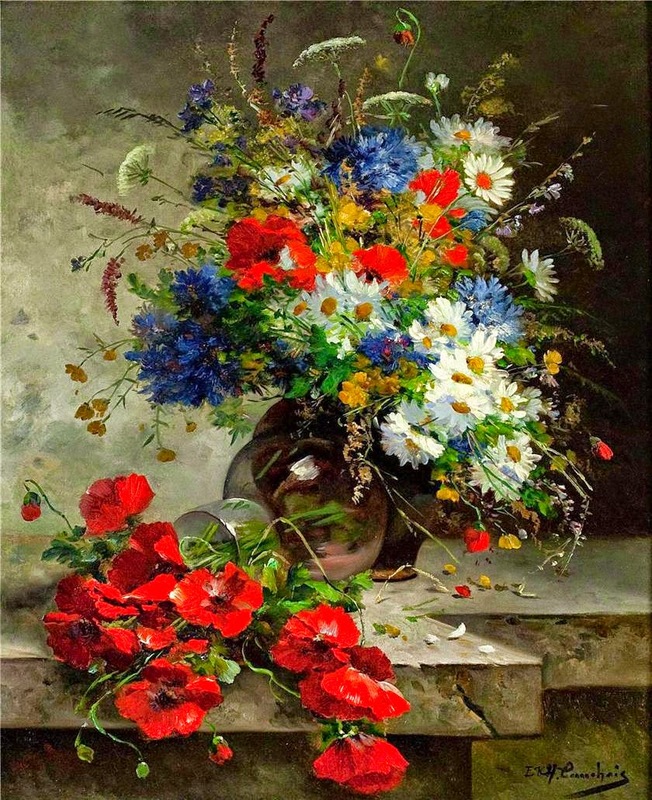 Cauchois received several commissions for these larger works and was commissioned by the School of the 7th district to paint four decorative panels representing the flowers of the four seasons. 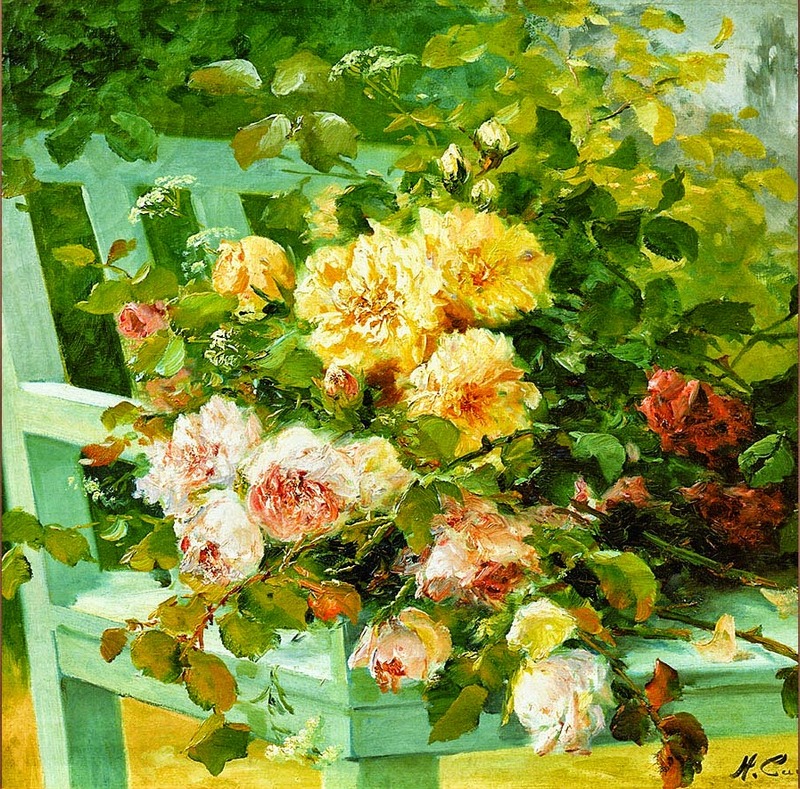 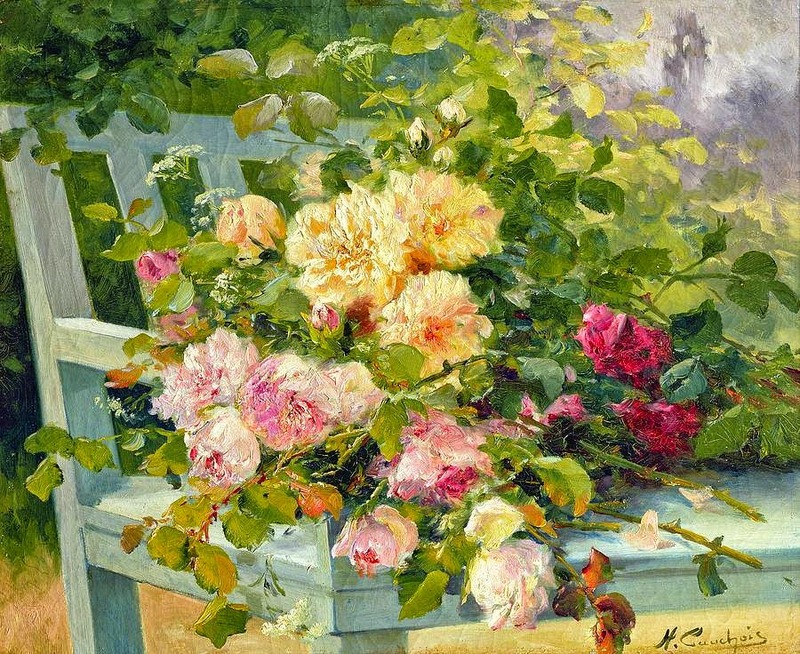 He continued to paint until his death in Paris on October 11, 1911. 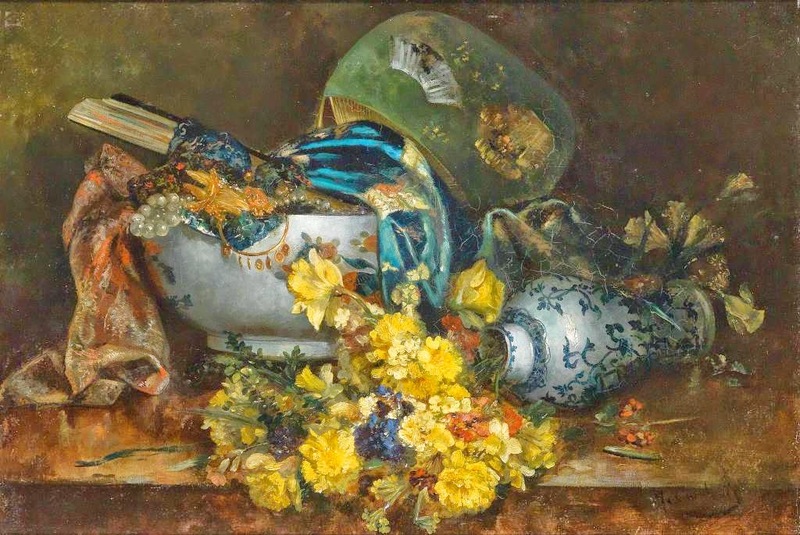 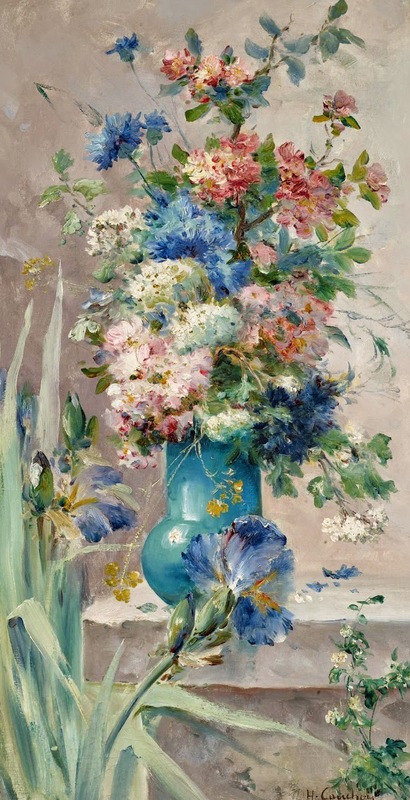 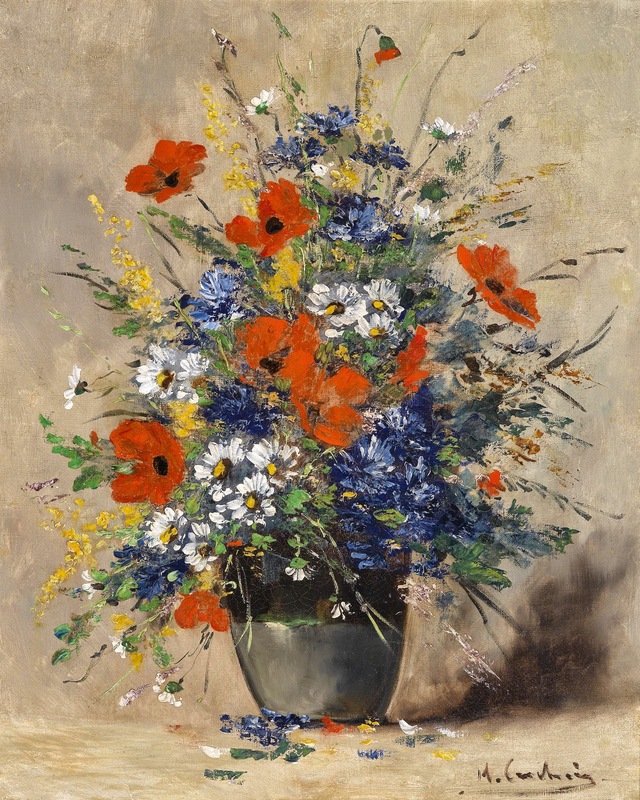 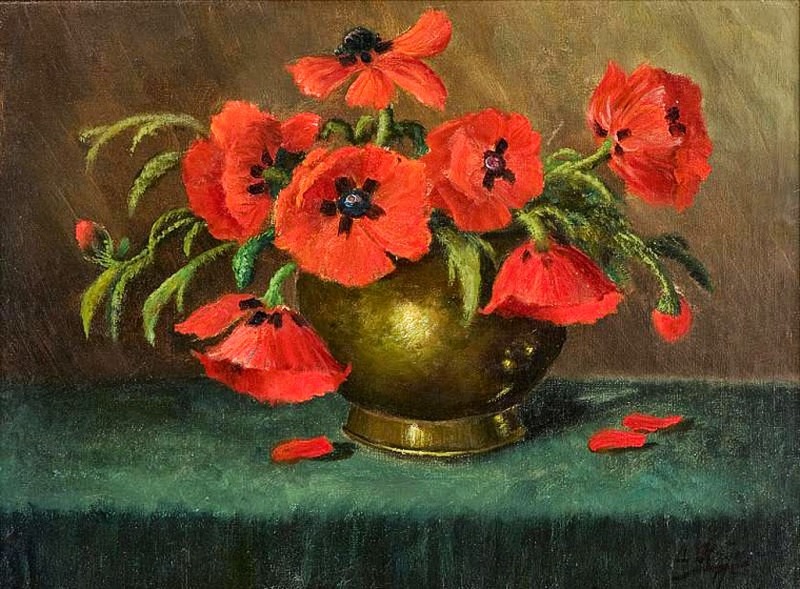 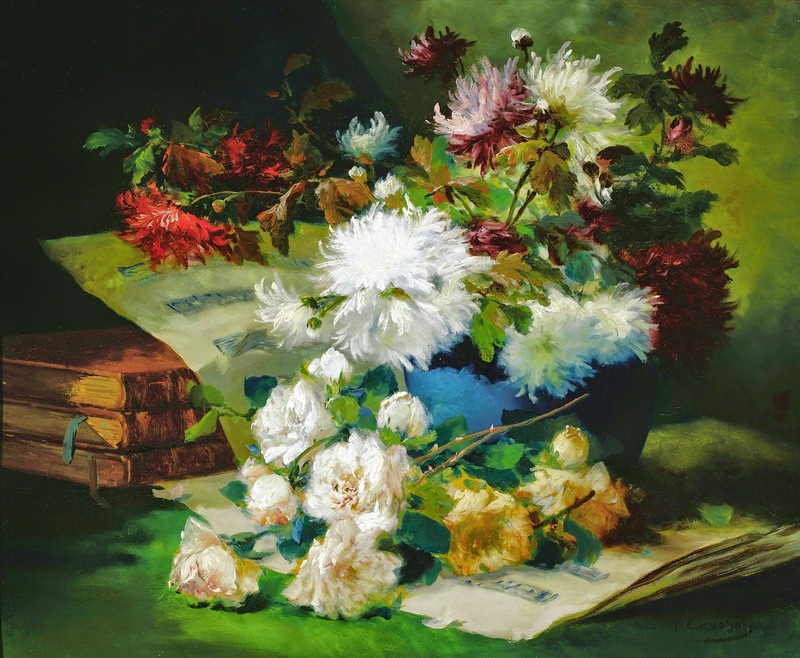 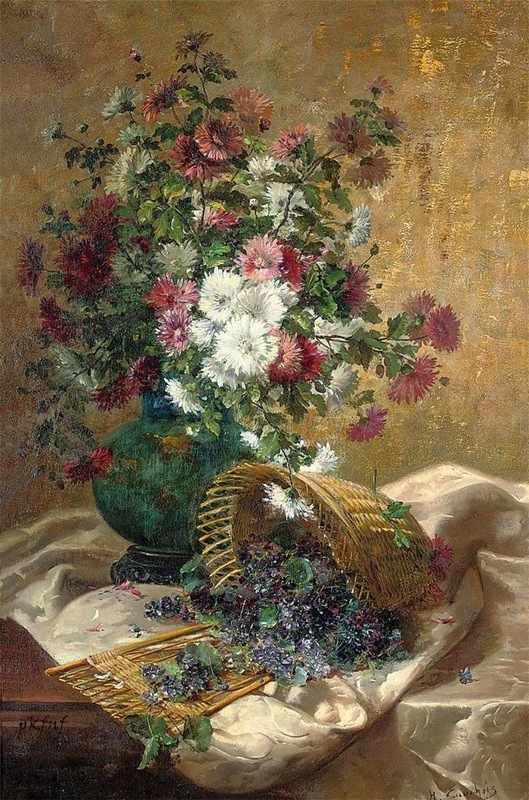 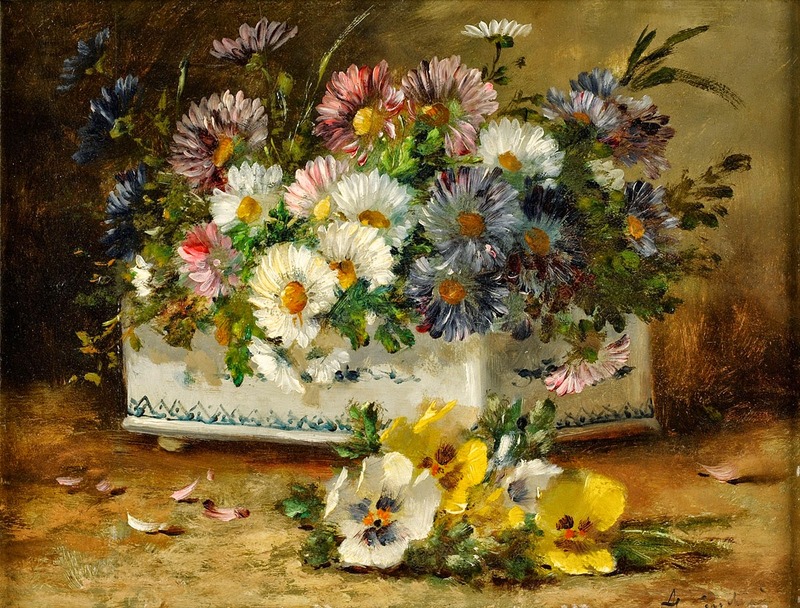 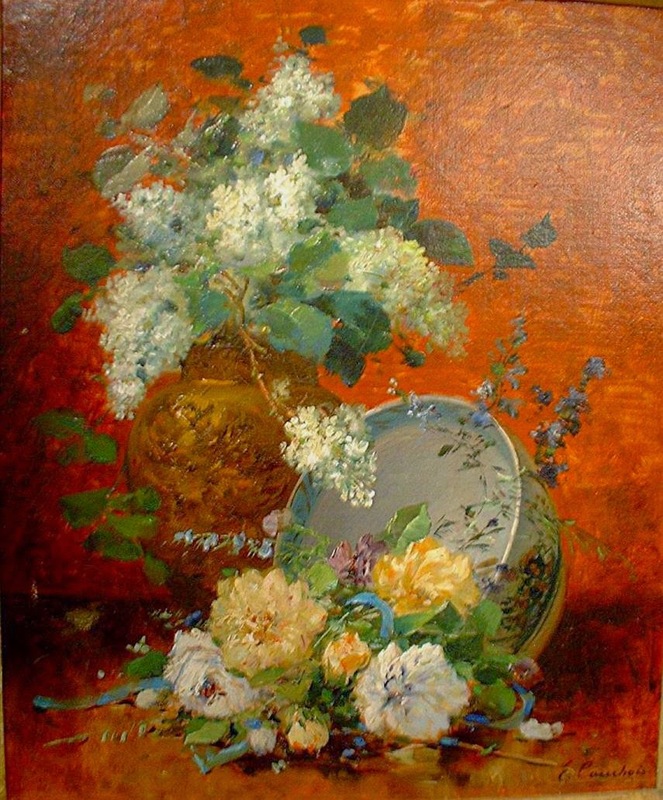 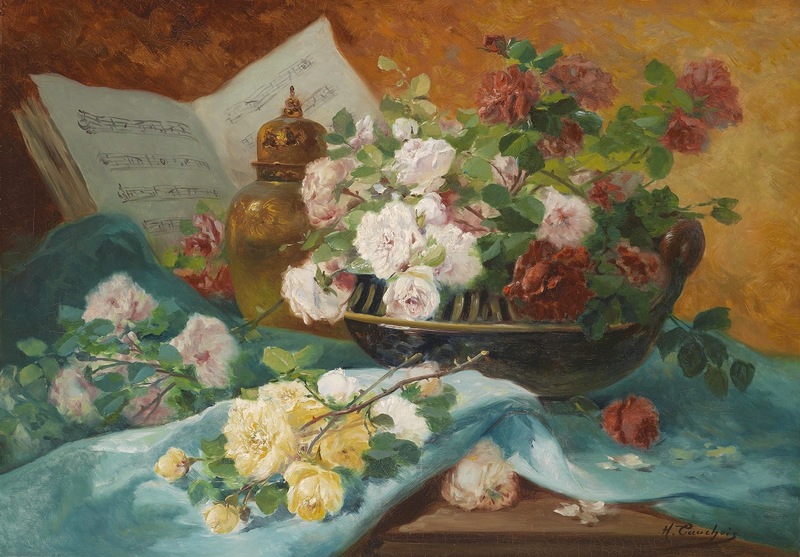 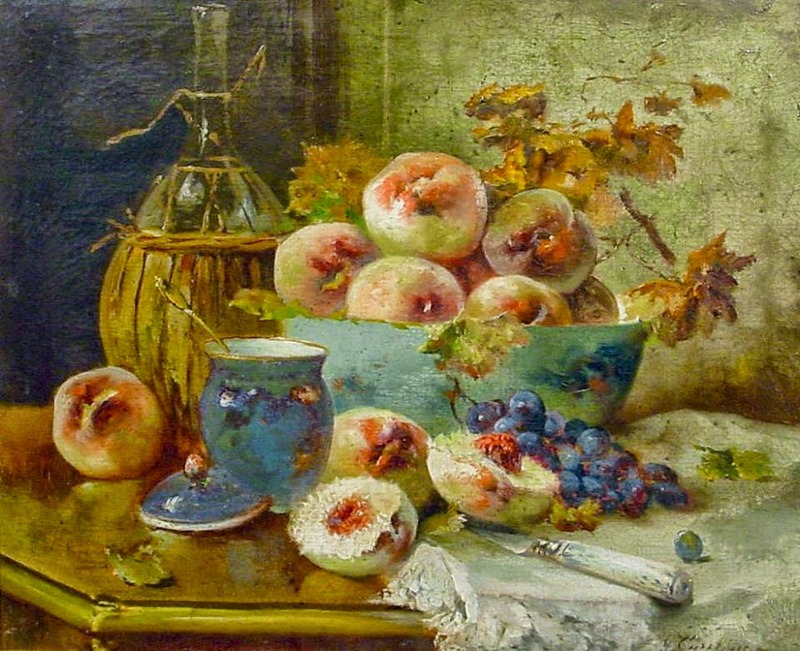 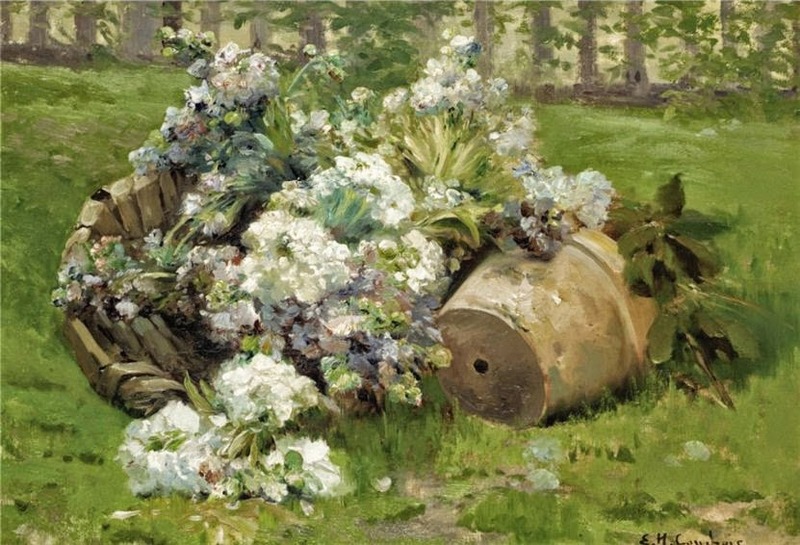 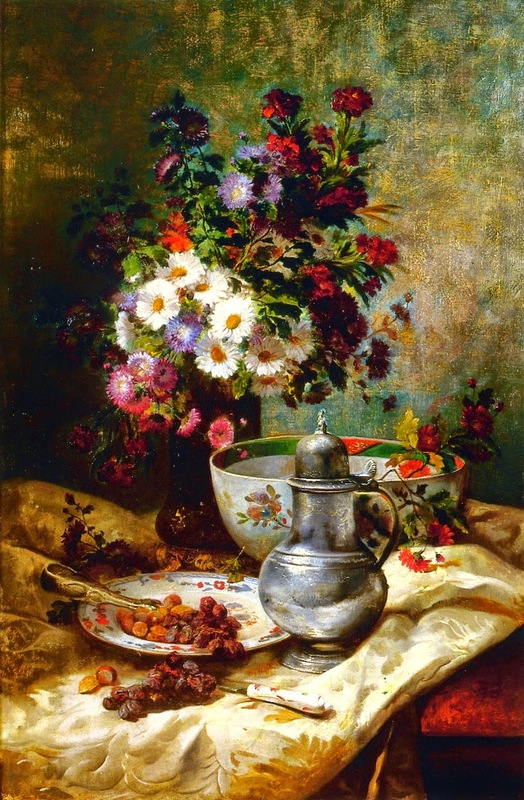 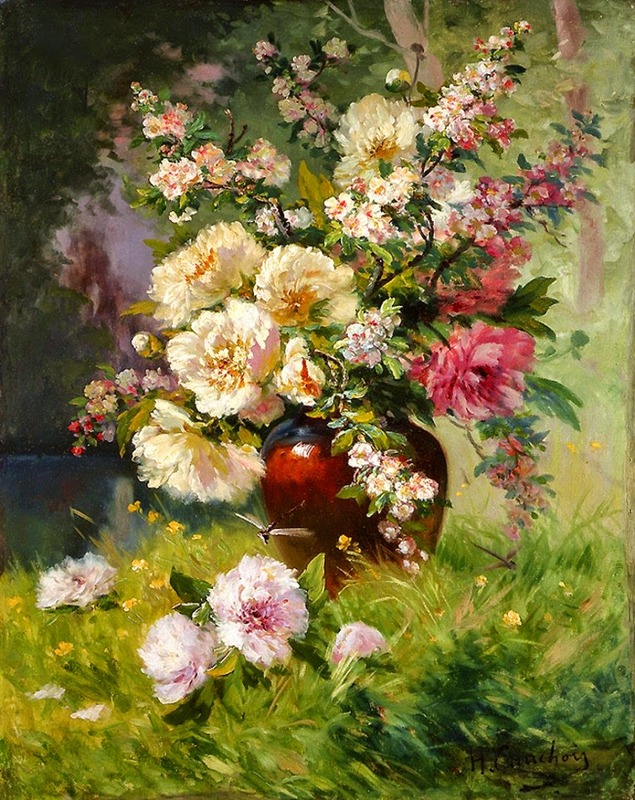 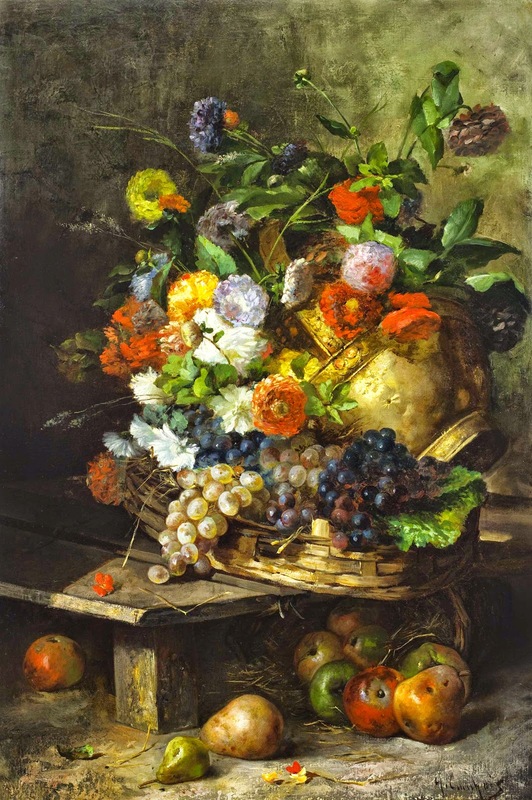 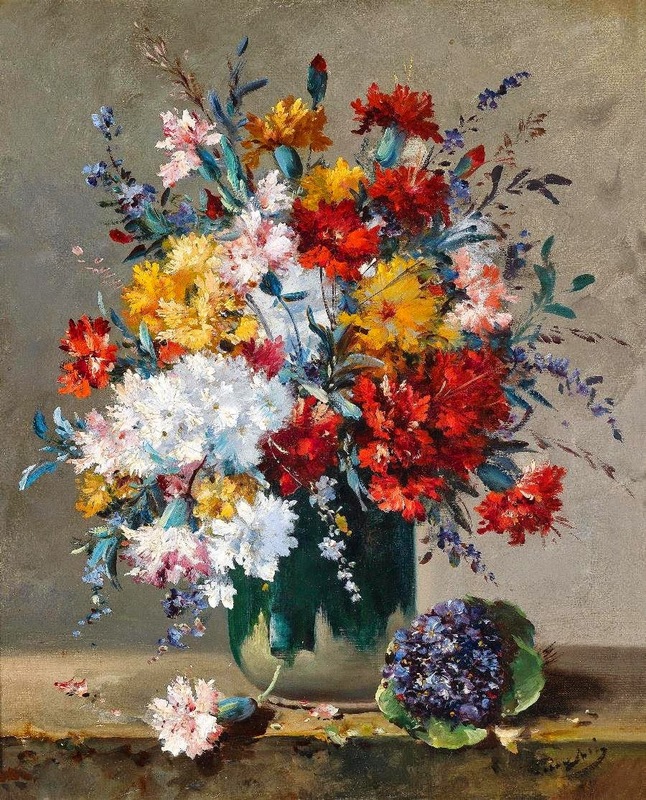 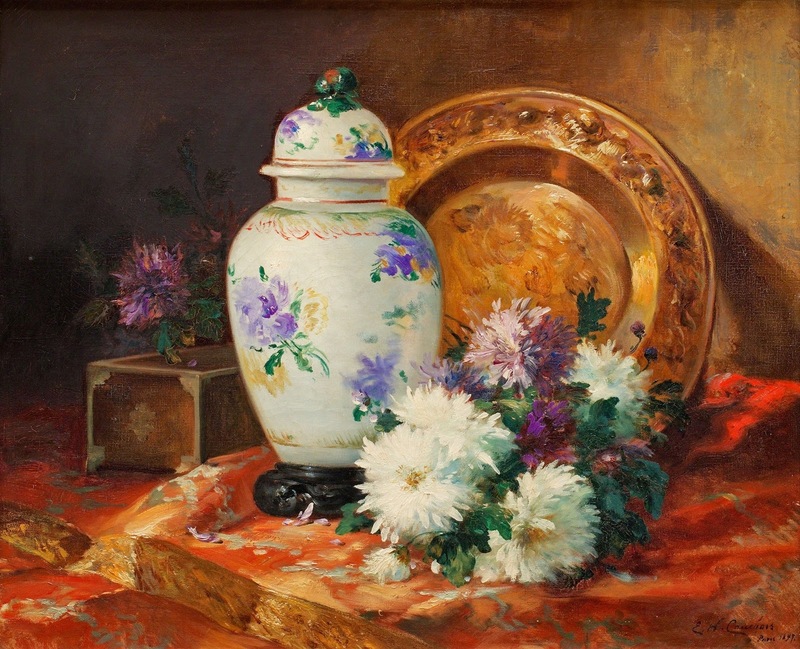 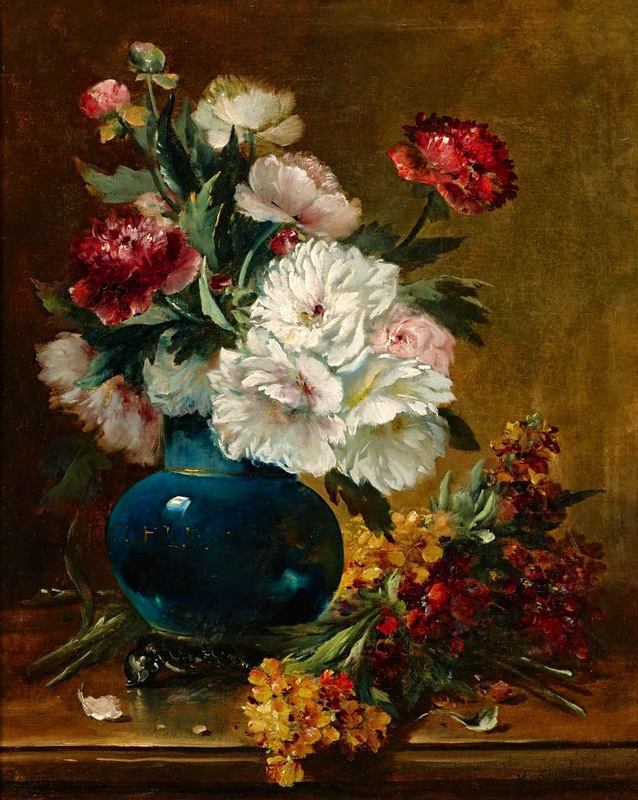 The work of Henri Eugène Cauchois is represented in museum collections in Leuven (Belgium) and Rouen (France). 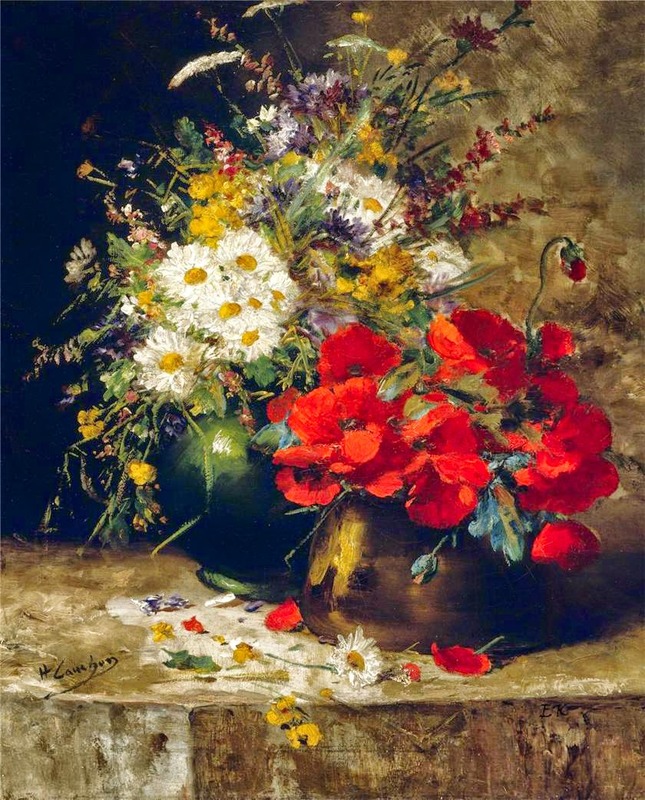 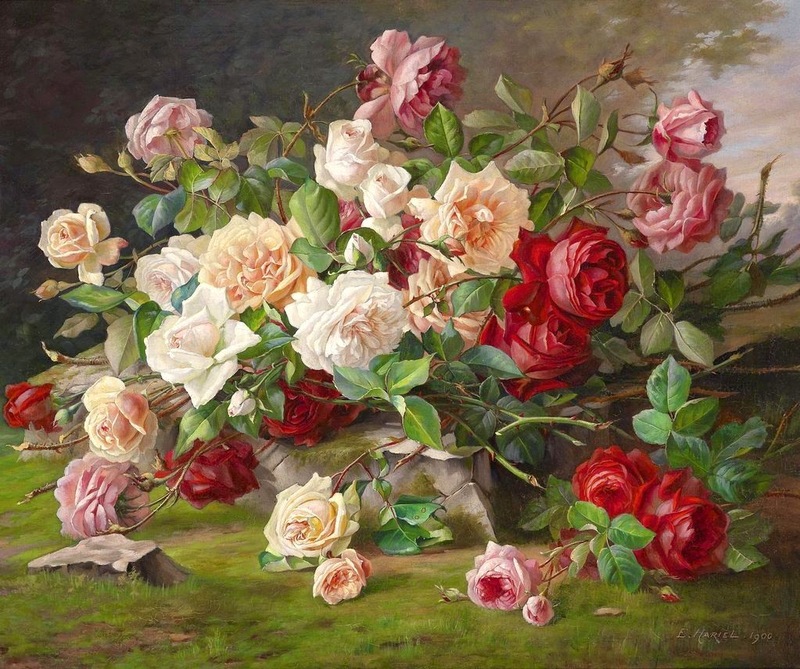 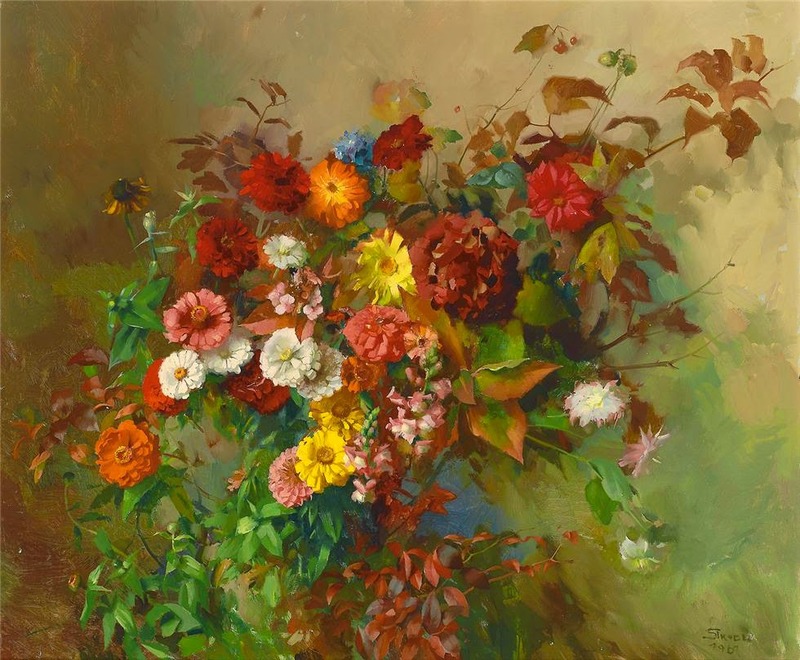 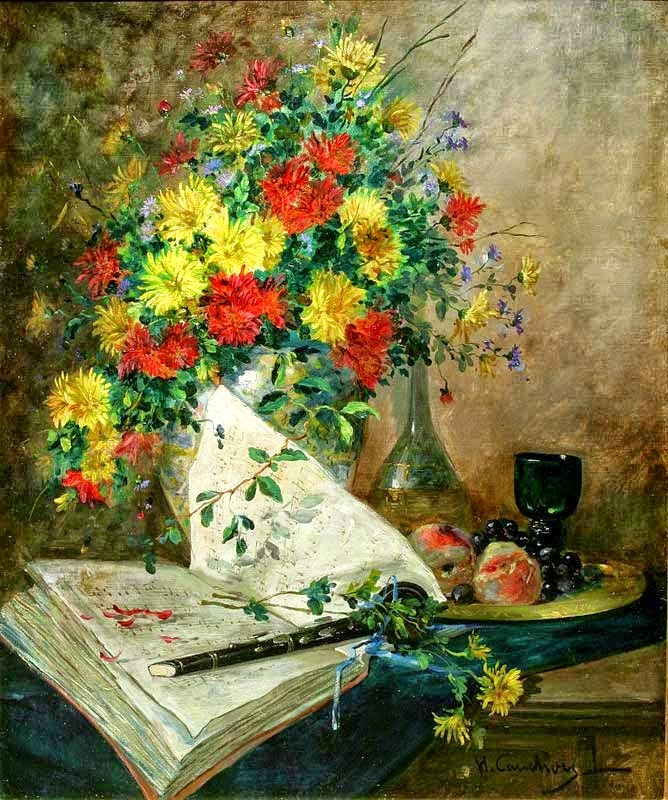 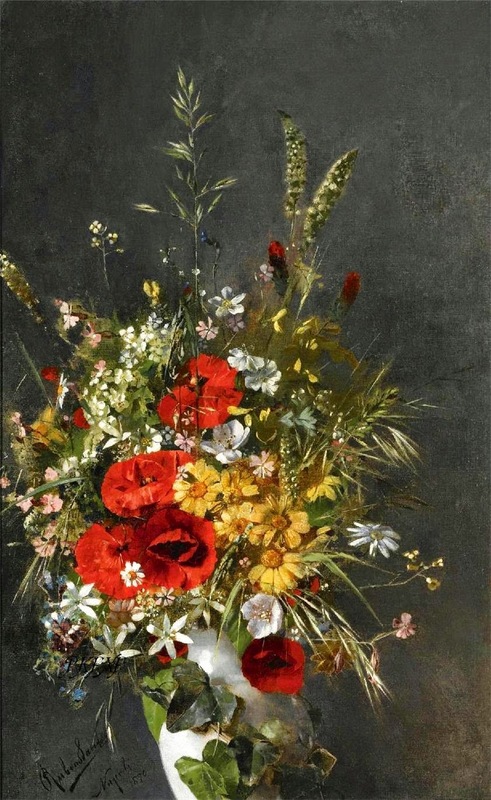 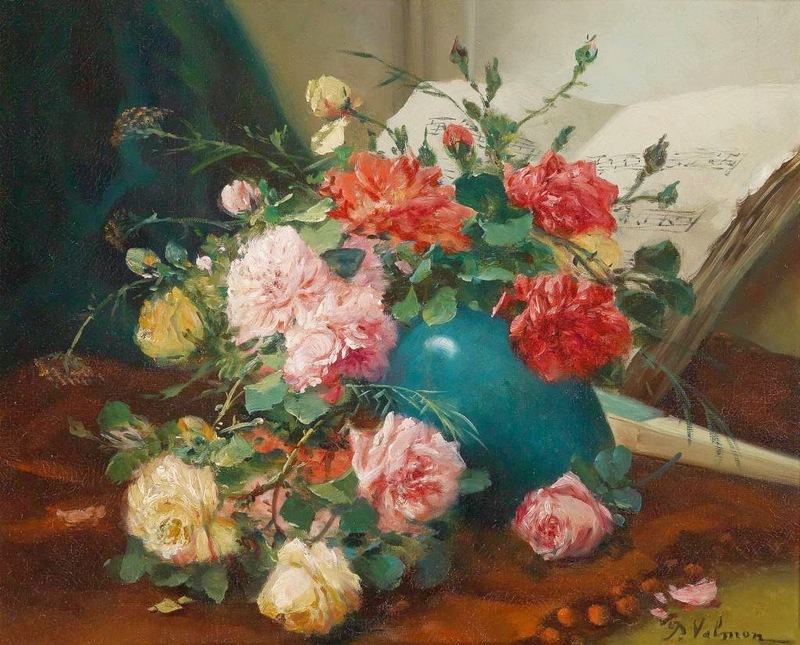 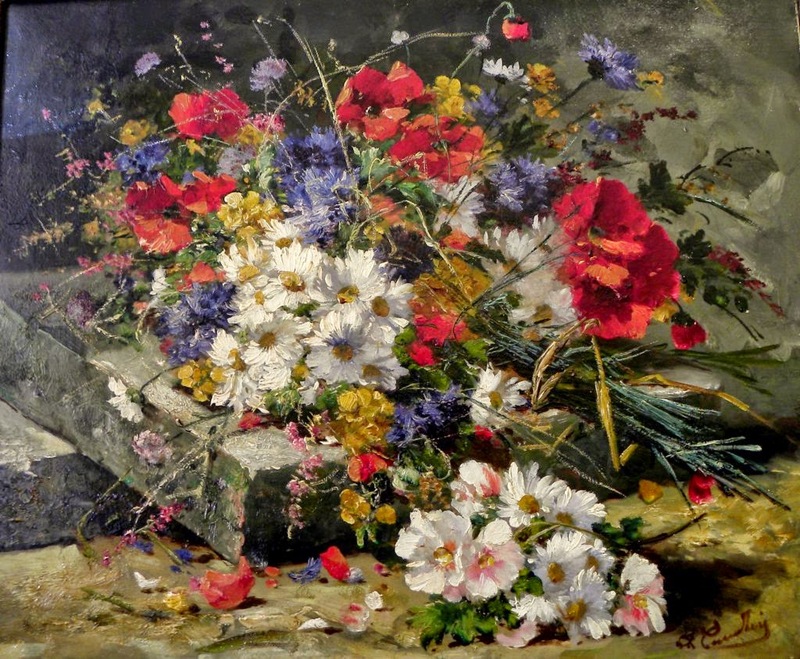 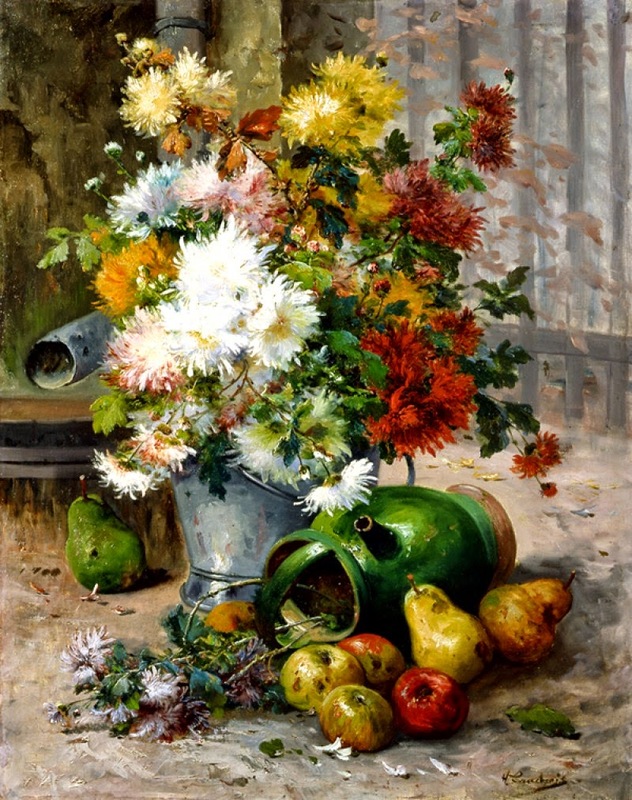 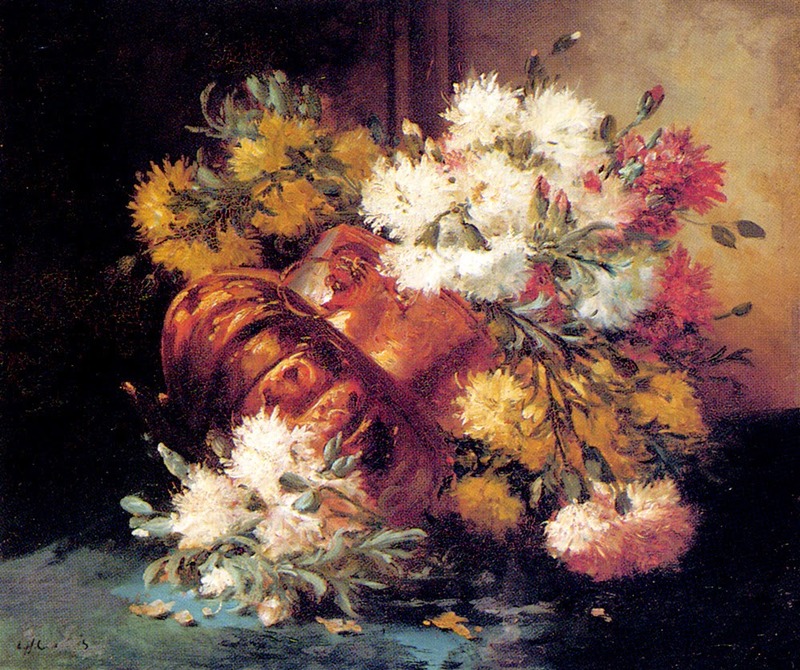 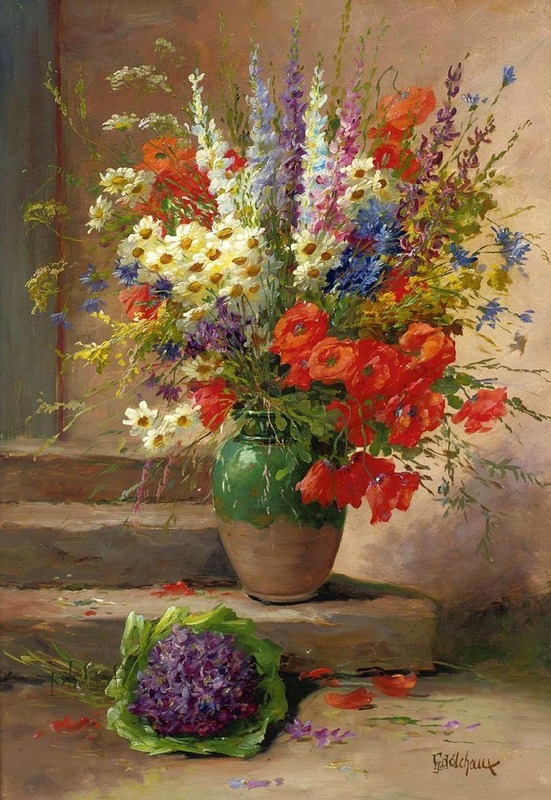 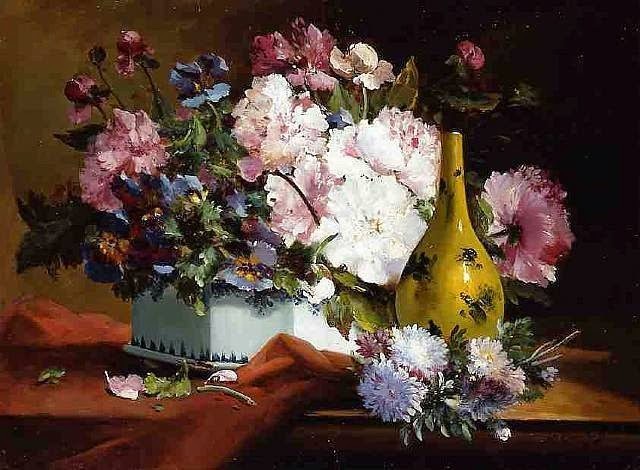 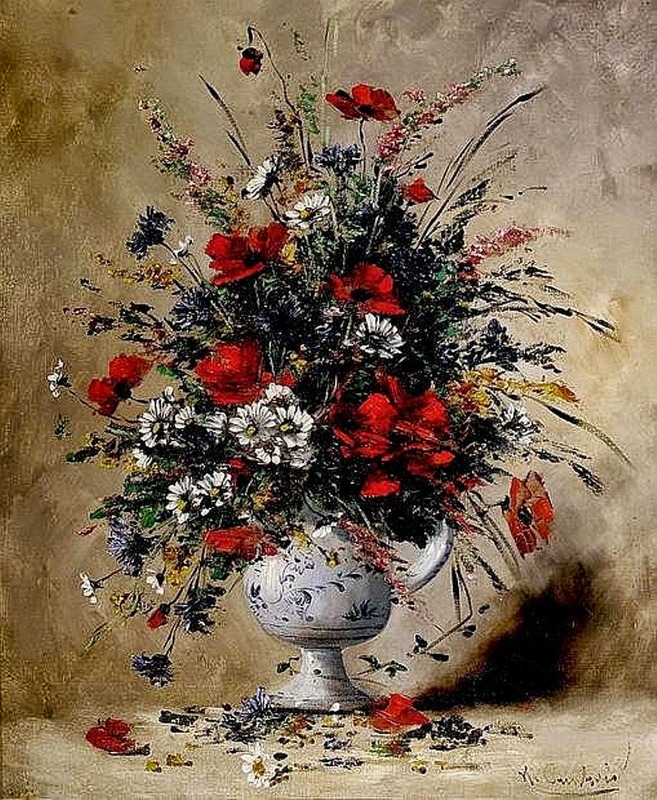 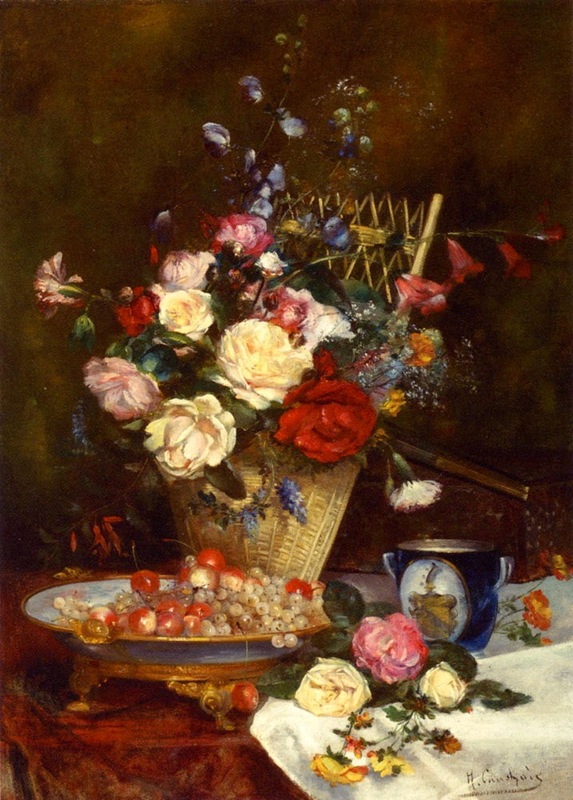 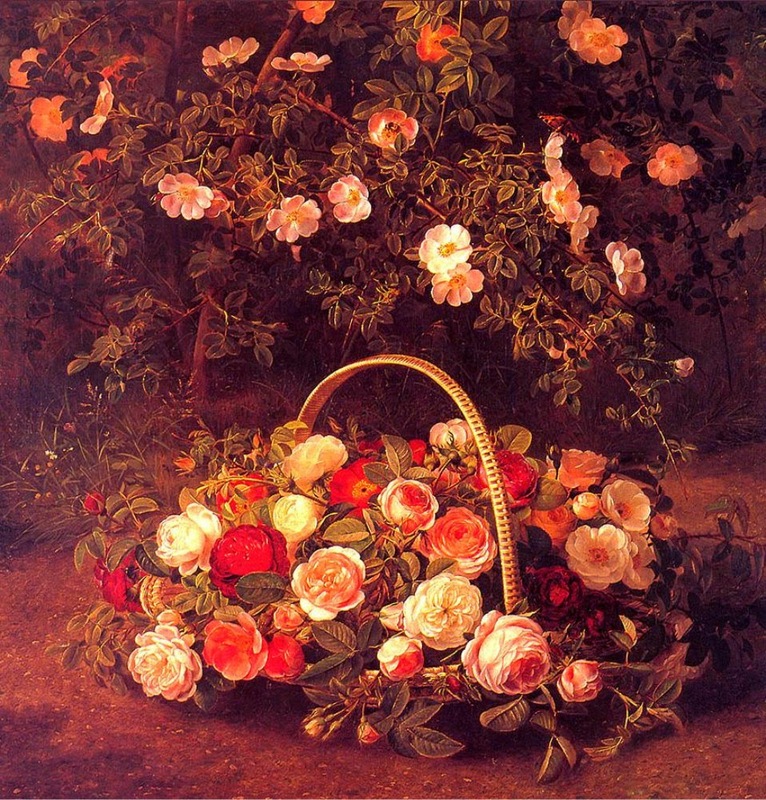 Eugène Henri Cauchois, esponente dell' Ecole fleuriste, è nato a Rouen il 14 febbraio 1850. 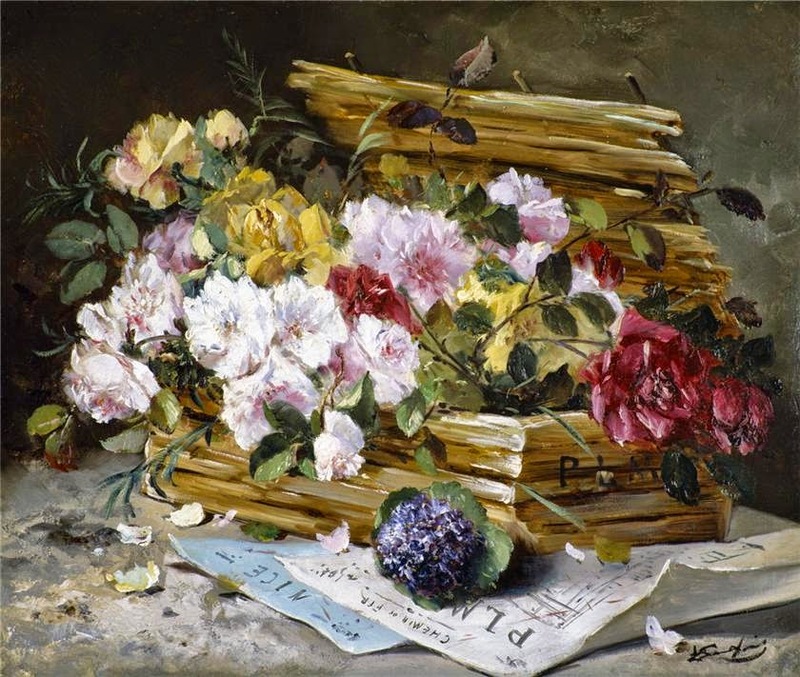 Ha ricevuto la sua formazione artistica con Ferdinand Duboc e Alexandre Cabanel. 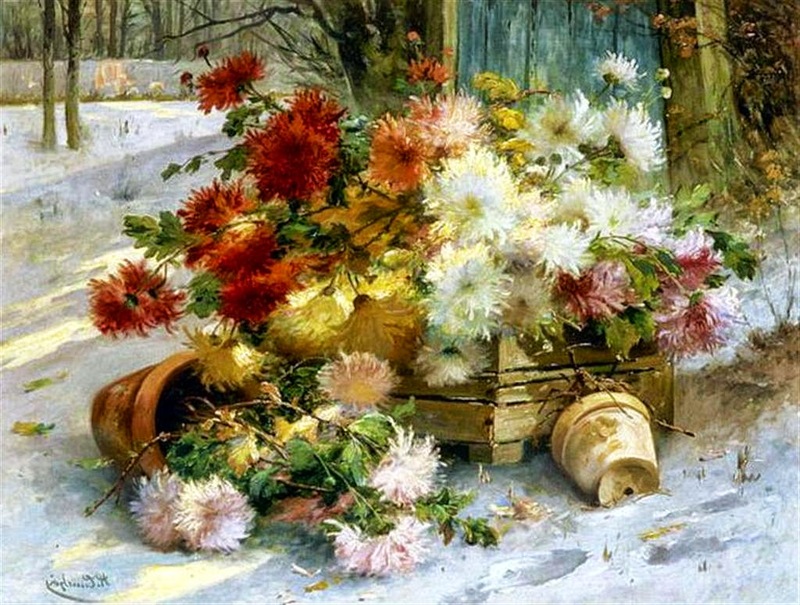 Il suo stile riflette una forte influenza impressionista.